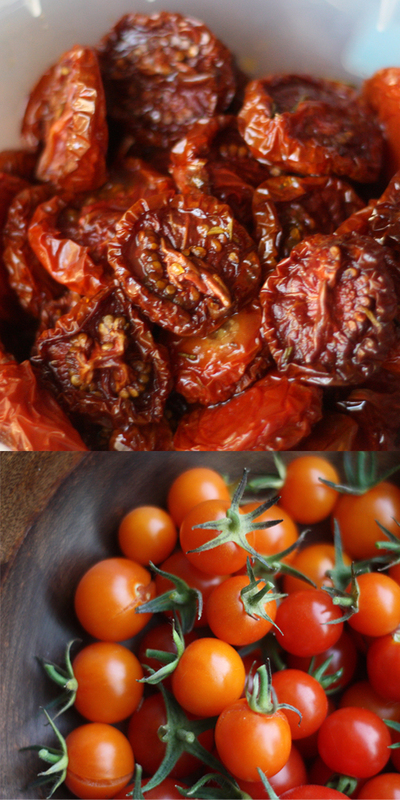 I don’t have a dehydrator or find much sun to sun-dry my tomatoes, even in these gorgeous Pacific Northwest summers. But I’ve found a great substitute to get my sun-dried tomato fix. Slice tomatoes in half, toss in olive oil, sea salt, herb of choice and roast on parchment paper (or Silpat) with the sliced middle facing upward (skin down) for 5-6 hours at 200 degrees Fahrenheit. I’ve been fortunate to have a plethora of tomatoes in my garden this season, but if you’re purchasing tomatoes at the store, I’ve found the best tomatoes to oven-dry to be either campari (first choice) or cherry (second choice or for a more “adorable” size.) Store in olive oil for up to a month. I’m always looking for new (to me) vegetables, especially for my current binge of summer salads. 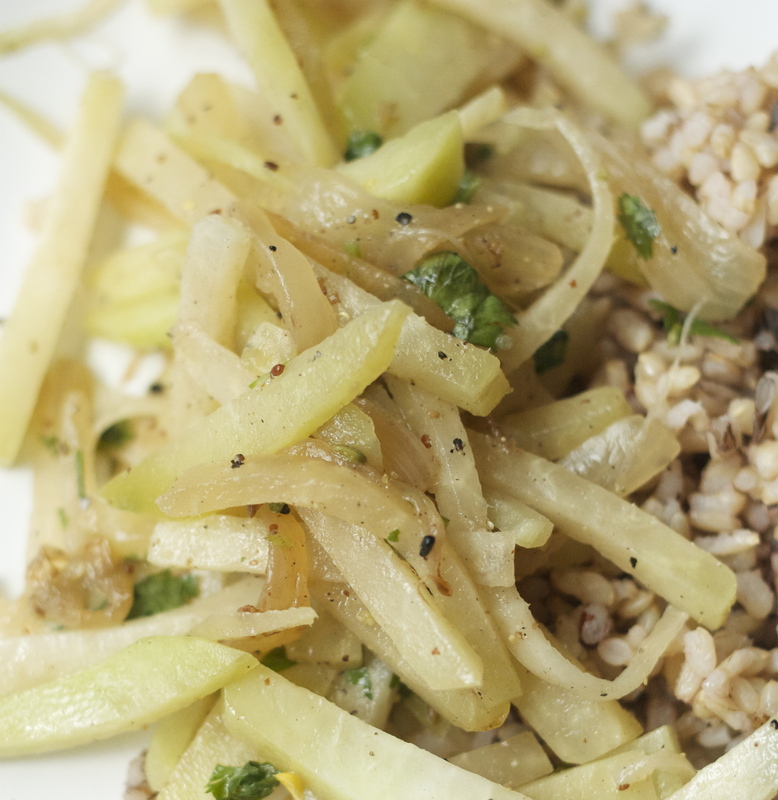 I’ve been hearing a lot about kohlrabi for a while now, but finally gathered the courage to try it out last week. The flavor was somewhere between cabbage and broccoli, and the texture was like a firm radish. I’m a fan of curried daikon (with lots of ginger…) and I usually make one of my favorite Bengali salads with cabbage and carrots. Thus, I was inspired to try out a version of these two, combined, as my newest experiment. I lightly toasted some panch phoron (equal parts fennel seed, cumin, nigella seed, mustard seed, and fenugreek), then sautéed one onion, sliced, until golden, then added in the kohlrabi battonets (cut into short sticks) and sautéed for another few minutes. I garnished with cilantro, then ate it first warm with rice, then the next day chilled as a side salad.